A SLEUTH IN SAUSALITO | Carol Sheldon writes books exploring times-past through mystery, love, betrayal and murder. ← A SLEUTH IN SAUSALITO ready to spread her wings! I’m so excited. My new book A Sleuth in Sausalito is finished. It will be available in about a week. It’s been such fun writing it, doing the research, interviewing old-timers, checking out the barracks and bunkers of the Headlands. It’s Sausalito in the sixties. Poets, painters and philosophers dot this artsy town, and a community living on derelict houseboats. The boat people vs. the hill people continue an ongoing battle. The pages are filled with colorful characters like Sally Stanford, and the artist Jean Varda. The disappearance of an aspiring young artist in the 50s goes unsolved until. . .
Stay tuned. I’ll let you know as soon as it’s hot off the press. 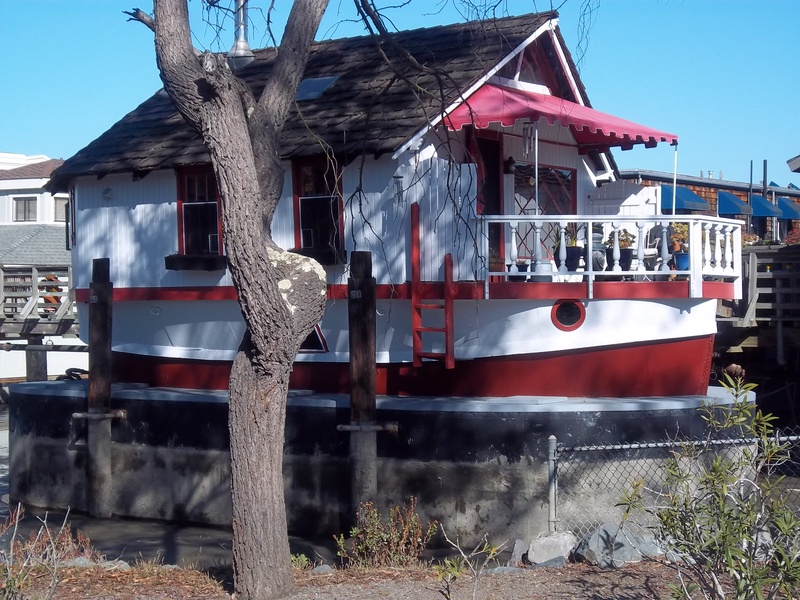 This entry was posted in mystery, Sausalito and tagged houseboat community, mystery, Sally Stanford, San Francisco, Sausalito, Vahalla. Bookmark the permalink. Sounds great Carol, wish I could have been a small part of this one. See you in A2 soon? Sounds like a good read. Stuart would’ve like it, I’m sure. You have described Sausalito the way he did when I visited him about 1965. I will be ordering one. Congratulations! When do I get to read it?